Frankie Metro reads selections from his chapbook The Anarchist’s Blac Book of Poetry on 5 July 2012 at Viracocha in San Francisisco, California, during Toxic Abatement. 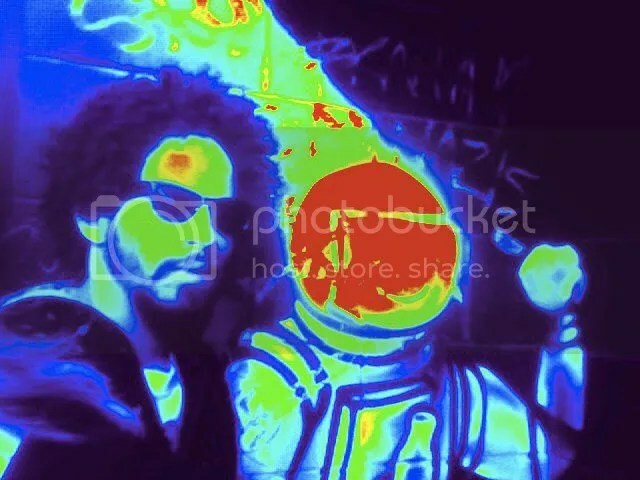 Video courtesy of IAmSammyDesign. Frankie Metro is the Head Non-Fiction and Associate Fiction editor at Red Fez Publications, where his column “The Left Handed Smoker” runs monthy. He is also The Chemist at the online lit journal The Meth Lab and holds no affiliation with Black Bloc Anarchists. The Anarchist’s Blac Book of Poetry was published 6/12/2012 by Crisis Chronicles Press. To order, send $7 US to 3344 W. 105th Street #4, Cleveland, OH 44111. From rearing its ugly head. In the pages of God fearing comic books. Is completely lost to me. Glimmer of hope disturbing the artist’s perspective. The dialog between victims and saviors. 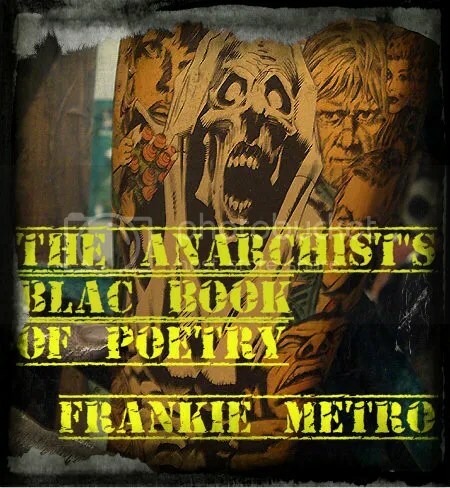 “Streets of the Pan Americano Nightmare III” comes from The Anarchist’s Blac Book of Poetry by Frankie Metro, published 6/12/2012 by Crisis Chronicles Press. To order, send $7 US to 3344 W. 105th Street #4, Cleveland, OH 44111.